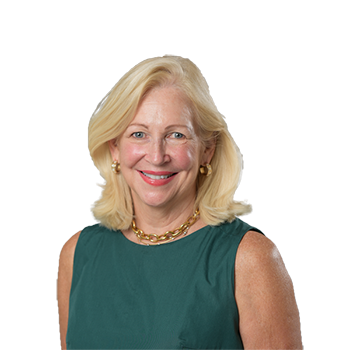 Mary Grover Ehrgood has been in the real estate profession for over 30 years, having begun her career in the commercial investment and development sectors. From this beginning she brings a broad-based background to her residential sales practice. In 1986 she joined Randall Hagner in commercial sales and leasing and gradually transitioned into residential sales by 1990. After 22 years at Randall Hagner, Mary left her position to join Washington Fine Properties in 2008. Mary has a 100% success rate in getting her transactions to settlement. Her analytical approach, competitive sales ability, well-honed negotiating skills and attention to detail set her apart in her work as a listing agent and as a buyer�s agent. She is experienced in a variety of types of residential real estate in all price ranges, with a special concentration in upper-bracket houses, condominiums, estate properties, new construction, as well as properties in need of substantial renovations or which offer development potential. She serves many clients at all points in their real estate journeys, from first-time home buyers to experienced real estate investors. A native Washingtonian, Mary grew up and has raised her own family in Chevy Chase. She is the mother of two daughters, one of whom, Julia Ehrgood Ghafouri, works as a team partner with her.